The Mike Bender Golf Academy is proud to have Scott Shepard, MSPT, CSCS, TPI CGFI, and owner of Plane Performance Fitness-Wellness working with our clients who want to reach their full potential on the golf course by elevating their level of health and fitness. Shepard is a Licensed Physical Therapist, Certified Strength and Conditioning Specialist, and Titleist Certified Golf Fitness Instructor who has worked with golfers’ of all levels on Rehabilitation, Fitness, Conditioning and Performance programs since 2003. He currently trains several professional golfers including winners on the LPGA, PGA, Symmetra Tour, and PGA Developmental Tours. He also trains and has trained several top junior golfers including the current 2013 number one ranked junior Girls golfer and prior number one ranked junior Boys golfer. He works with several local High School State Championship programs from Lake Mary Prep, Lake Mary HS, and Circle Christian HS. Scott has been sought out as an expert speaker in Golf Fitness and Rehabilitation and has presented at the TPI World Golf Fitness Summit, the Sports Physical Therapy Team Conference, and multiple Orlando Orthopaedic Sports Medicine Conferences. He has also been a consultant to SuperFlex Fitness and Flexor Swing Sports for exercise programming for golfers. He has created a Golf Specific Rehabilitation program utilized by CORA Sports Medicine and Rehabilitation Clinics. Shepard’s programs for golfers improve flexibility, mobility, strength, power, speed, and core stability. Scott has spent significant time viewing lessons with Mike Bender in order to learn the key components of the golf swing. Because of this he has been able to develop exercises that train specific swing components in order to assist with integration of the proper sequence and motor control of the full swing. 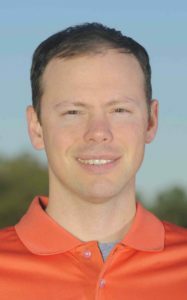 He believes the main difference between his programs and other training methods is the ability to transfer the results of training directly into golf improvement. Shepard’s programs are based on the concepts of specificity and progressive programming. Shepard states, “The golf swing is a very specific, coordinated sequencing of body movements and the physical training for golf has to meet the sports needs by developing specific flexibility, strength, and speed in golf specific areas”. This starts with a custom assessment of movement that reveals areas of poor or inefficient movement. The next step is to create a custom program that is specific to the swing needs and the body limitations of the client. Scott feels his role is to educate his clients on proper movements and empower them with custom programs that enhance efficiency and engrain the movement patterns. He believes more specific programs will create more specific results! He believes that all golfers are athletes! Includes a comprehensive golf-specific physical assessment and development of customized workout plan with video and templates. Ideal solution for clients in need of a custom golf workout plan and not able to attend personal sessions at MBGA. Can be developed for offsite clients via phone and video consultation. Individual or Small group fitness training program designed specifically for you and for golf. Custom program for each client based on our golf fitness screen. Development of a custom, targeted program for fitness and performance that is performed in solo personalized training sessions or small group training (3-4) clients for 60 minute sessions. All sessions performed at MBGA and by appointment with several morning and evening options available. Our custom, golf specific pilates classes that are offered at MBGA with Master Pilates Instructor and TPI Certified Golf Fitness Trainer, Michelle Harmody. This 60 minute class will target golf specific core musculature, flexibility, stability, and control in a mat based Pilates format. The course has been designed with input from golf instructors and golf fitness trainers to target the areas needed for golf performance. Individual Physical Therapy sessions with Scott Shepard, Licensed Physical Therapist at MBGA. Treatments are one-on-one for 30 minutes and include manual therapy, targeted therapeutic exercises, neuromuscular retraining and motor control based rehabilitation, and modalities for pain and inflammation control. Does Scott work with my specific swing issues and speak with my instructor? Can I work with Scott even if I am not a member of MBGA or take lessons at MBGA? Yes, Scott trains clients at MBGA from all over the country and international from several different instructors and members of other clubs. He will work with you and your instructor to create a specific program. You do not need to be a member at MBGA. What age should my junior golfer start working with Scott on fitness? Scott recommends the earliest age for beginning fitness training is around 6-8 years old and the activities would be tailored to the athletes’ long term development. Scott believes in progressive exercise skill development based on the proper growth cycles and safety. Can I work with Scott even if I am injured? Yes, in fact Scott is a licensed Physical Therapist and specializes in rehabilitation and developing programs based on your injury history and his custom screen. Scott can even perform your physical therapy onsite at MBGA. What hours are the fitness training classes and sessions? For more information, contact Scott directly at 407-222-7489. Scott has several options and all sessions are by appointment only from Monday-Saturday. Does Scott do general fitness training? Yes, Scott is a Certified Strength and Conditioning Specialist and works with general personal training clients for health and fitness as well as other sports including Tennis, Baseball, Lacrosse, Volleyball, and other athletes. Scott currently has many general personal training clients that are not golfers. What if I don’t live near MBGA, how can I work with Scott? Scott can do phone and video consultation and develop a custom video exercise program for you to meet your needs. He currently creates these programs for golfers all over the world including China, India, England, and S. Korea to name a few. How much are the sessions for fitness or rehabilitation?